Yakhnich Motorsport is the Russian roadracing team, which appeared in 2007 and was represented by two sportswomen Nadia Yakhnich and Dakota Mamola. Later two male pilots Vladimir Leonov and Sam Lowes joined the team. Vladimir Leonov was born in Donetsk in 1987. He has been riding bikes since childhood. His first vehicle was a bicycle with an engine. He was the first Russian pilot to take part in the MotoGP. At every new step of his career he rode faster and more powerful bikes. 22-year-old Sam Lowes, from Great Britain, joined the team in 2013, after becoming the 2010 British Supersport champion. He is full of hopes and happy to ride a new bike with Yamaha. 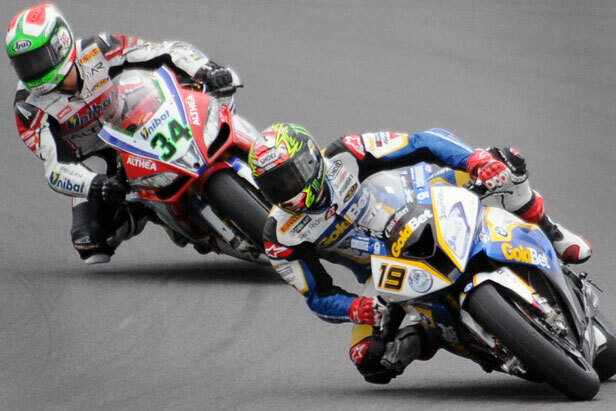 The second race of Superbike World Championship at the Moscow Raceway was cancelled because of the tragic death of Italian rider Andrea Antonelli, who fell off his motorbike at 250 kph and was hit by a following rider. Antonelli was 25.